Come to our AGM! Sunday 28 April in the Cafe. All Welcome. Minutes of March Friends' meeting. 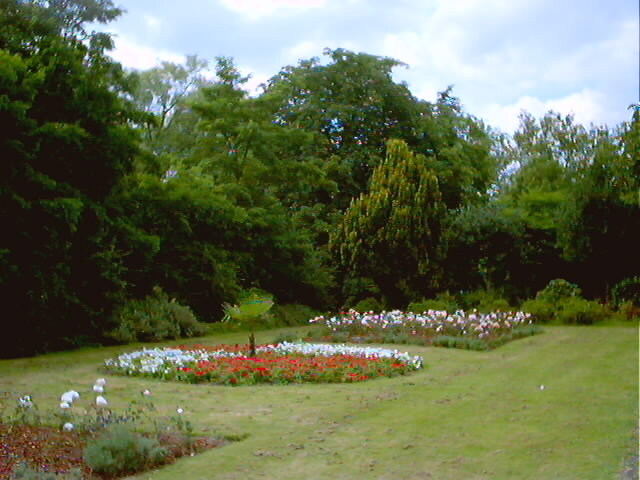 THE FRIENDS OF DOWNHILLS PARK were established in 1999, developing out of the Parks Sub-Group of the West Green Residents' Association. Recognizing the importance of Downhills Park, Lordship and Belmont recreation grounds to the quality of life in West Green ward, the Friends aimed to promote the public benefit and enjoyment of these open spaces by involving local people in planning and decision-making affecting these areas and encouraging more local people to use the parks and take an active interest in their future. 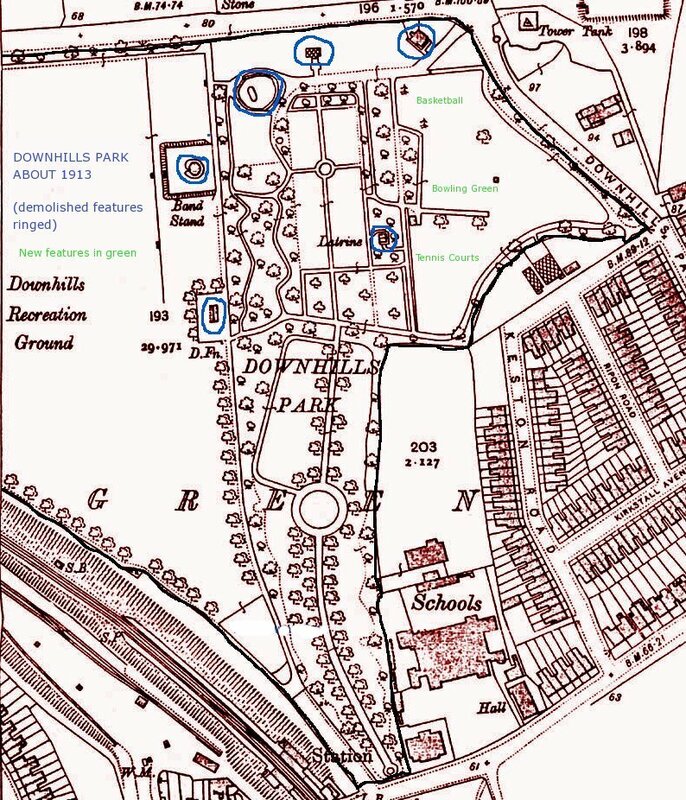 FODP has since spawned two very active daughter Friends groups for Lordship and Belmont Rec, and now concentrates on Downhills Park. The Friends work to benefit the inhabitants of the London Borough of Haringey in particular, but not exclusively, in West Green. They have campaigned to reverse the decline in the park in the 1990s, to press for improvements in its facilities while protecting its historic character, and to enhance public interest and awareness of the park. MEMBERSHIP is open to any interested member of the public over 18. To join, contact the Secretary, or come along to our Annual General Meeting. OFFICERS and COMMITTEE: Chairman: Rod Wells. Secretary: Clare Parry, email: ec.parry@gmail.com. Treasurer: Sylvia Oland email: sylviaoland@talktalk.net. Others Christopher Currie (website), Keith Shawcross (wildlife). Next meeting: AGM! Sunday 28 March at 4 pm in the Cafe . Further meetings planned, to be confirmed..
Come and have your say!!! The most recent Newsletter is available here. Following pressure from the Friends, Haringey Council, with the aid of the Government's Single Regeneration Budget for West Green Learning Neighbourhood, hired consultants to draw up a development plan for the area including the park, and a public consultation was held. The public voted for improvements such as better security and access, a cafe, a pedestrian link to West Green, the restoration of the historic Conservatory, and more. and a new rockery was built at the West Green Road entrance. A Park Forum was established to involve all interested bodies in joined-up information exchange and decision making. a management plan for the park was prepared, which will help to develop it the way users want, and should be brought up to date each year by the Council in consultation with the Friends. Haringey Council has obtained in 2006 and each following year the coveted Green Flag Award for the Park. Steps were built down to Midnight Alley at the north side of the park. A Wildlife Pond was constructed near the steps. The Friends have encouraged community events in the park such as the annual Art in the Park (22 July in 2018), and in 2003 we organized a Centenary Celebration, attended by thousands, and contacted present and former residents to share their reminiscences in a commemoration video illustrating the park's history and people's memories. THE VIDEO IS STILL FOR SALE! Contact the Treasurer. We liaise on local issues with TCV and West Green Residents' Association, who have provided sterling help on park issues, and we have representation on West Green Environmental Theme Group. We have collaborated with TCV (formerly BTCV) in planting new trees in the park, and in 2004 were honoured to receive an award under the BTCV People's Places Scheme to help restore the historic Hornbeam Avenue, and other areas which had suffered losses of trees. Bulb Planting and Litter Picking: provisionally planned for 24 November. POND/WETLAND AREA clearing day. A clearing day was held last year. ALL WELCOME- COME AND HELP! After many years of FODP activity on a Café project the Café opened on 27 March 2011. This PDF shows the installation process (thanks to Malcolm Hawley for preparing it).If more funding becomes available, extra modules could be added at a later date to enlarge the building. Haringey Council have obtained a grant from an outside body to enhance the Natural Play Area west of the Café, as well as to improve equipment in the existing Children's Play Area further south. The Café : thanks to negotiations between the Friends, the Cafe Action Group and Haringey Council the Café has re-opened under Neri's energetic management. Art in the Park was on 12 July in 2009- and on 18 July in 2010 - and on 10 July in 2011, and on 15 July 2012, 2013 21 July, 2014 20 July, 2015 19 July, 2017 16 July, 2018 22 July. We have also lobbied to raise funds to restore the historic railings round the park.